TORONTO, January 19, 2016 – Canadians shopped online in record numbers during this year’s holiday shopping season. For the first time in Canadian eCommerce history, the combined online share of sales in November and December 2015 totalled 9.8%, according to MasterCard SpendingPulse, which looks at Canadian retail sales across cards, cash and cheques to offer detailed insight into consumer spending trends. November and December 2015 were both record-breaking months. In November, online sales accounted for 9.7%, the highest in Canadian eCommerce history. This record was broken in December when online sales climbed to 9.9% of total retail sales, up from 8.6% in 2014. The online shopping category showed a 20% increase during that same period compared to 2014, representing the highest year-over-year growth in SpendingPulse’s ten-year history measuring Canadian retail sales. Total Canadian retail growth, excluding auto and gas, was steady but slow, posting a year-over-year growth of 2% over the holiday shopping period. Today’s global consumer is an omnishopper, with eight out of 10 consumers using a computer, smartphone, tablet or in-store technology when shopping, according to the MasterCard Retail CMO’s Guide to the Omnishopper. And with 52% of North American shoppers choosing to shop online because of the ease of checkout, it’s easy to see why MasterCard innovations such as MasterPass, MasterCard’s digital payments platform, give omnishoppers a fast, safe shopping experience at thousands of online merchants. MasterPass enables consumers to pay for the things they want with the security they demand, online or mobile, using any device. The platform securely stores payment and shipping information, which is readily accessible when a consumer checks out using the, “Buy with MasterPass” button and logs into their account. “With the increase of digital shopping options – from mobile to tablet and computer – MasterCard has made it easier than ever to securely shop online. We’re focused on ensuring the online checkout experience for consumers only gets stronger via loyalty programs, in-app payments and even wearables and smart appliances,” said Brian Lang, President, MasterCard Canada. MasterCard SpendingPulse: SpendingPulse reports on national Canadian retail sales across all payments types. The findings are based on aggregate sales activity in the MasterCard payments network, coupled with survey-based estimates for certain other payment forms, such as cash and check. In addition to Canada, SpendingPulse is available in the United States and select markets around the world. A macro‐economic indicator, MasterCard SpendingPulse reports on national retail sales and is based on aggregate sales activity in the MasterCard payments network, coupled with survey-based estimates for certain other payment forms, including cash and cheque. MasterCard SpendingPulse does not represent MasterCard financial performance. SpendingPulse is provided by MasterCardAdvisors, the professional services arm of MasterCard International Incorporated. 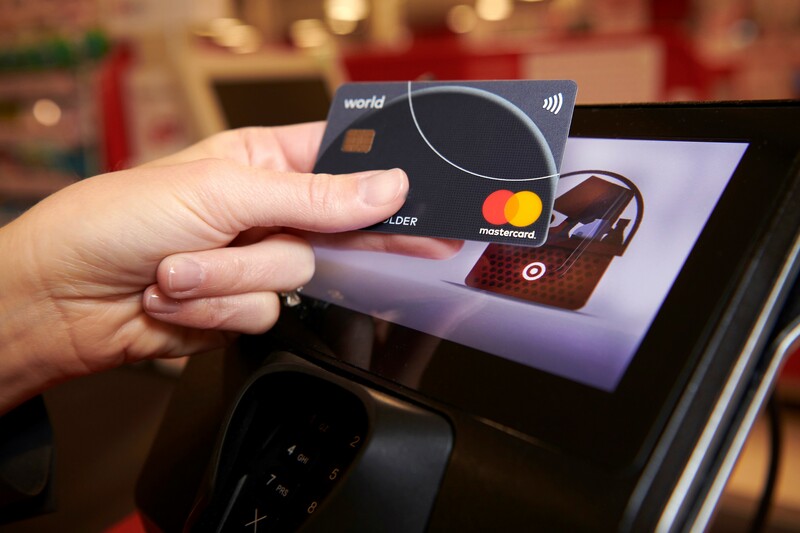 MasterCard SpendingPulse reports and content, including estimated forecasts of spending trends, do not in any way contain, reflect or relate to actual MasterCard operational or financial performance, or specific payment-card-issuer data.